Source: Heme Iron Vs. Nonheme Iron: What’s the Difference? Not all iron is created equally, and if you have an iron imbalance, you should carefully consider which iron is best for your health. Your body recognizes the difference between heme and nonheme iron sources and will absorb each type differently. These types are easy to identify in your daily diet. Heme iron comes from animals, and nonheme iron comes from plants. Here is everything else you need to know about the differences between heme and nonheme iron and how each can affect your health. Heme iron is the type of iron found in blood and muscle. Present in animal foods like red meats, fish, and poultry, heme iron is a significant source of the absorbed iron in a typical western diet, though it only makes up about one-third of dietary iron. Heme iron gets its name from the heme protein attached to a lone iron atom. The “heme” in the blood protein hemoglobin refers to this protein-bound form of iron. On average, the human body absorbs about 15% to 35% of heme iron consumed. While the exact mechanism of absorption is unclear, it is clear that the body absorbs heme iron more readily than nonheme iron. However, it’s important to note that heme iron introduces the negative health effects associated with consuming animal products. Heme iron only exists in animal products or animal-based iron supplements. These heme iron supplements are available as powders, tablets, capsules, and even drinks. Heme iron-rich foods include oysters, beef liver, and sardines. Nonheme iron is iron found in plant foods like green leafy vegetables, beans, and nuts. Nonheme iron is not combined with a heme protein, and this difference is the reason for the body’s reduced ability to absorb nonheme iron. Slower absorption allows you to eat more iron-rich plants without worrying about iron toxicity. Likewise, consuming plant-based foods provides an array of powerful nutrients, antioxidants, and phytochemicals to support your overall health, not just your iron status. Nonheme iron is also less likely to cause health concerns for your heart, unlike meat. Bioavailability is the main difference between heme and nonheme iron. Nonheme iron is absorbed at a lower rate than heme iron. However, in this case, its weakness is a strength in disguise. Nonheme iron poses a lower risk of causing iron toxicity, even when consumed in large amounts. Your body allows the iron to pass through the digestive system for elimination. Plant-based food is the best source of nonheme iron. You can boost your iron intake by eating more iron-rich vegan foods like spinach, lentils, and pumpkin seeds. Also, taking with vitamin C can enhance the absorption of iron. Some supplements contain only nonheme iron, but they are far less common than their heme supplement counterparts. Global Healing Center offers the highest quality nonheme iron supplement available. 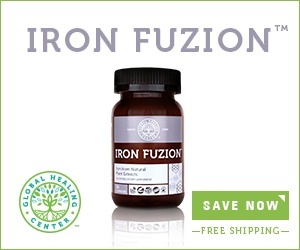 Iron Fuzion™provides 100% nonheme iron from curry tree leaves along with a proprietary blend of thyme and echinacea extracts to help your body absorb and use iron. Try it today for yourself and experience the benefits of plant-sourced iron. West, Adrian R., and Phillip S. Oates. “Mechanisms of Heme Iron Absorption: Current Questions and Controversies.” World Journal of Gastroenterology. (2008): 4101–4110. Morsen, E.R. “Iron nutrition and absorption: dietary factors which impact iron bioavailability.” Journal of the American Dietetic Association (1988): 786-790. Kaluza J., Wolk A., Larsson S.C. “Heme iron intake and risk of stroke: a prospective study of men. Stroke.” (2013):334-339. Nadia M. Bastide, Fabrice H.F. Pierre and Denis E. Corpet. “Heme Iron from Meat and Risk of Colorectal Cancer: A Meta-analysis and a Review of the Mechanisms Involved.” Cancer Prev Res February. (2011): 177-184. “Office of Dietary Supplements – Dietary Supplement Fact Sheet: Iron.” National Institutes of Health. 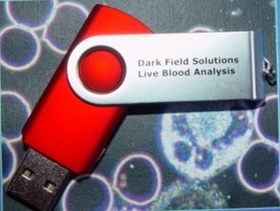 U.S. Department of Health and Human Services, n.d. Web. 19 Apr. 2017. Gulec, Sukru, Gregory J. Anderson, and James F. Collins. “Mechanistic and Regulatory Aspects of Intestinal Iron Absorption.” American Journal of Physiology – Gastrointestinal and Liver Physiology 307.4 (2014): G397–G409. Cook, J.D. “Adaptation In Iron Metabolism.” American Journal of Clinical Nutrition 51.2 (2017): 301-308. Web. 21 Apr. 2017. When I started to read the article I thought it was going to be a nice balanced article differentiating non-heme and heme iron. I feel that I am wrong in that respect. Can you please disclose any conflicts you may have? Seems as though you have a financial benefit for promoting non-heme iron and in particular Iron Fuzion looks like your organization sells. I have never come across details of non-heme at absorption of up to 20% (you have not provided a clear reference to this number). From my research non-heme absorption is of no more then 10%. And at this high rate it would have to be ideal conditions such as; very low iron stores, taking the non-heme iron on an empty stomach and with orange juice. We also know that taking non-heme iron on an empty stomach causes GI side effects. Thus why your product labels says take with food; therefore diminishing the absorption rate. I would never have thought that curry leaves (Murraya koenigii) would be a good source of iron. Typically the GI side effects are from the unused iron left in your gut. This is generally the case with more traditional iron supplements (non-heme) which have 100+ mgs of iron (only about 1/3 of that elemental). Even at 20% absorption rate of the elemental iron your body will only absorb 6.6 mgs (100mg * 33% * 20%) of that 100mg. What is happening to the remaining 93.4 mg of iron your body is unable to absorb? Its Causing oxidative stress and thus GI issues and other long term effects. Now Iron Fuzion (IF) if I read the label correct is only 18mg of non-heme iron.Low dose. Generally people start feeling side effects with doses above 44mg. IF has only 18mg. Such low dose to start with, most cases this will not cause any GI issues. Further with the low dose it would take a very long time to build up iron stores again. 18mg * 33% * 20% = 1.19mg. From your stat of 20% the most anyone will absorb from once a day is 1.19mg of iron. Once again please note that this is at the most ideal situation with the body absorbing at 20%. In most cases the absorption is less then 2% of non-heme iron. At 2% the body has only absorbed 0.12 mg of iron. Although the users will not see side effects they most likely wont see results either.